So another successful meal has been planned, cooked and served and everyone enjoyed it immensely. You’re now putting away the leftovers and you wonder just how or when you will use them. That’s the thought that ran through my head the other day as I was putting away the leftover Taco meat and fixings because the manufacturers of the Taco kits NEVER give you enough tortillas for the amount of seasoned meat you inevitably wind up making and so you’re left scratching your head on what to do. You could put it into a freezer bag and freeze it flat for the next time but when is the next time you will be making Tacos? You could do a Mexican style omelet for Breakfast the next day or you could do what I did and use it for a Midnight Snack. This dish is so simple to make, mainly because it is using leftovers, and it is a “simple but tasty recipe for the grilling season and beyond”. 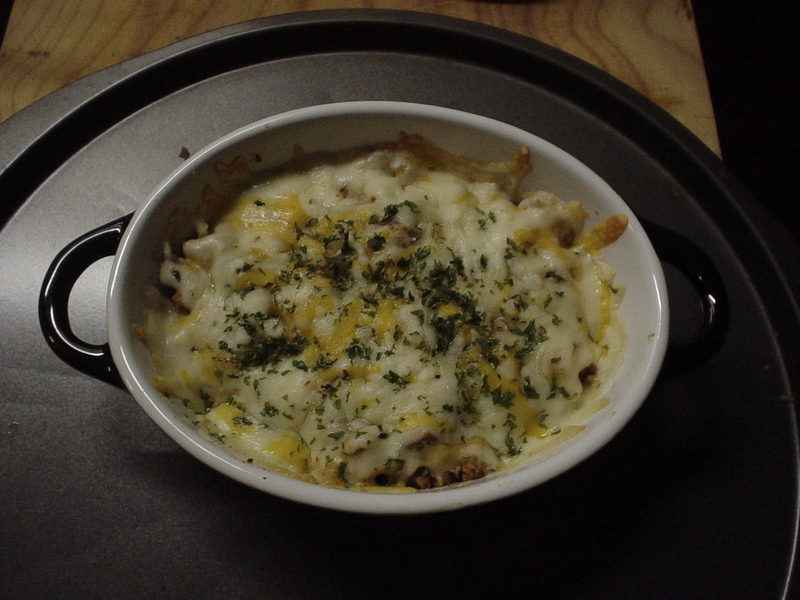 – Half a cup of Shredded cheese – Tex Mex style works best. There you have it. A “simple but tasty recipe for the grilling season and beyond”. What a good way of using left overs! the end result looks delicious!